The deliveries from China to Poti / Georgia are made in 20” containers, the containers are loaded up to 27 ton each, the Cargo is accepted on FOB basis. 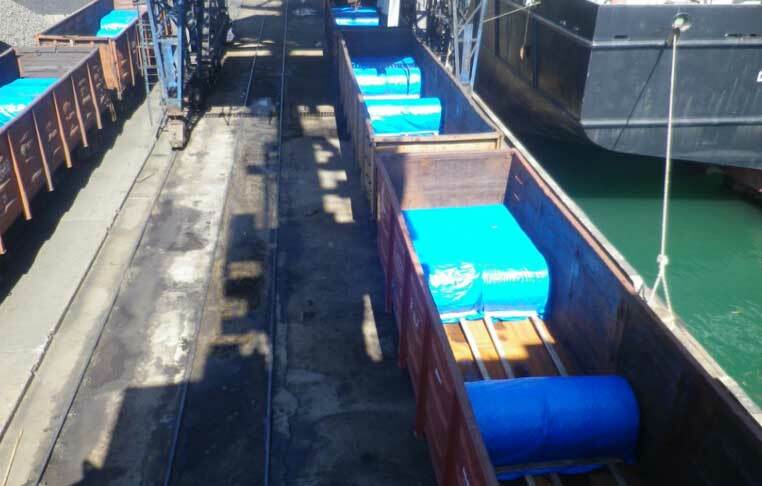 The Cargo from containers is transshipped into railcars in Poti, the railcars are loaded up to 69 tons (71 ton in exceptional cases), necessary lashing, securing and covering is performed in Poti. The Cargo is delivered in railcars to Keshle railway station Baku / Azerbaijan, the Cargo is submitted on FOR basis. All operational and payment procedure is performed jointly by our U.A.E. and Georgia Office. All payments to container shipping companies, railway authorities and government authoriries are made directly by our relevant offices.